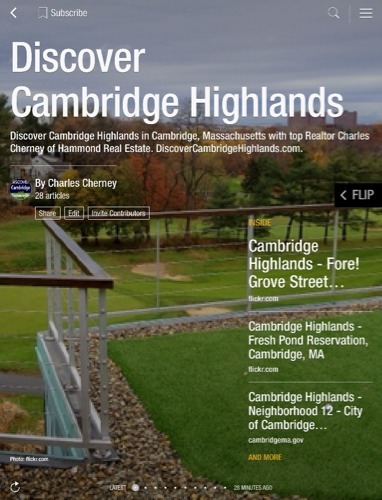 The Cambridge Highlands neighborhood, located on the northeastern edge of the city, is comprised of two distinct areas. The eastern part consists of mostly commercial and light industrial uses. A strip mall-style regional retail center is located here, alongside the Alewife Brook Parkway (State Route 2) and near the MBTA Alewife Red Line Station in North Cambridge. TIP: Create an account to save your favorite listings and receive email updates when similar properties hit the market.